Clos de Tart, a Grand Cru of the vintage 1997 vintage. This Grand Cru red Burgundy monopoly is harvested, vinified and bottled by the Domaine du Clos de Tart. An exceptional wine, at once silky and concentrated, rich and balanced. 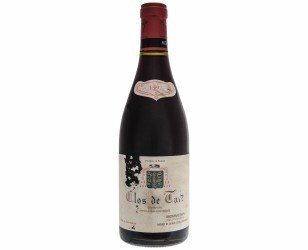 This Clos de Tart 1997 is one of the best red Grands Crus of the Côte de Nuits now available for sale. Incredibly rich, combined with unparalleled delicacy, it brings at the same time the power and structure of the greatest red wines of Burgundy. Finesse, complexity and silky characterize this great wine from the Côte de Nuits. 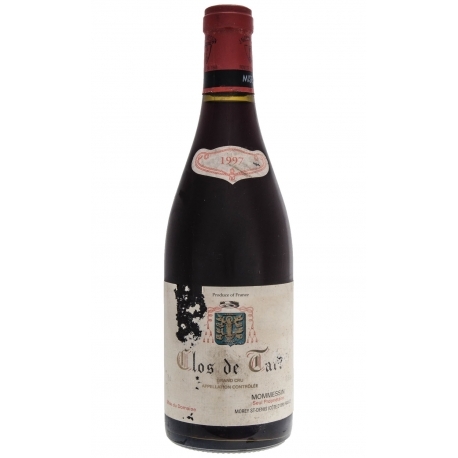 This Clos de Tart comes from the family Mommessin sole owner (monopoly) of the appellation Clos de Tart Grand Cru, located in the heart of Morey Saint-Denis in Burgundy. A rich and concentrated wine, generous in color, a bouquet with varied and complex aromas that will mix families of spices, licorice, undergrowth, and now the first notes of leather or fur. This Clos de Tart Grand Cru 1997 can already be tasted and will offer very beautiful emotions. It still has a potential for evolution, but the majesty of the vintage gives this great wine a very interesting level of maturity. Diversity is to be expected as each Grand Cru has its own personality. To the eye, this wine is plain ruby, sometimes a bit darker. Veiled in strawberry and violet, the Clos de Tart offers both robustness and charm. Quite tannic when young, it softens with age while gaining in complexity. The Clos des Lambrays is a true aristocrat, fully rounded in youth and with added depth and gravity as the years go by. The Clos Saint-Denis impresses by its finely-tuned nuances – this wine is the Mozart of the Côte de Nuits. The Clos de la Roche is firmer, deeper and more serious, closely akin to Chambertin. Aromas of humus and truffle are often precursors to notes of small red or black fruits. A small part of the Bonnes-Mares appellation lies in this commune, but the greater part is in Chambolle-Musigny. (See Appellation sheets No.5). Intense and full-bodied when fully mature, these wines have a densely tannic texture and an aromatic richness which makes them a fitting – and equal - partner for feathered game. They are perfect, too, with a rib steak and, for lovers of Asian cuisine, adapt well to the aromatic intensity of glazed poultry. Their supple but virile tannins go well with veal (braised or in sauce) and with roast or braised lamb. One must also not forget their invaluable affinity for strong-flavoured soft-centred cheeses. Serving temperatures: 12 to 13°C for young wines,15 to 16°C for older wines. Of all the villages of the Côte de Nuits, Morey-Saint-Denis is one of the most fruitful in terms of the number of its Grands Crus. The Clos de Tart, which remains a solely-held entity, was founded by the Cistercians of Tart in 1141. Since that date, it has been owned by only three families. The Clos Saint-Denis came on the scene in the 11th century, thanks to the fortress of Vergy. The Clos de la Roche and Clos des Lambrays are both semi-monopoles and both have long histories which have involved some adjustment of boundaries between Climats. The Clos de la Roche and Clos Saint-Denis were awarded their appellation Grand Cru on 8 December 1936, Clos de Tart on 4 January 1939, and Clos des Lambrays 27 April 1981. Facing east or slightly south of east at around 250 metres above sea-level, these Climats may be seen as a southerly extension of the Grands Crus of Gevrey- Chambertin. First comes the Clos de la Roche, then Clos Saint-Denis followed by Clos des Lambrays, and finally Clos de Tart leading to Bonnes-Mares. Limestone dominates in the Clos de la Roche where the soil is barely 30 cm deep with few pebbles but with large boulders which give the Climat its name. In the Clos de Tart, scree-derived soils 40-120 cm thick cover the underlying limestone. The Upper part of the Clos des Lambrays is marly with claylimestone soil further down. The Clos Saint-Denis at the foot of the slope has pebble-free brown limestone soils which contain phosphorus (like Chambertin) and clay (like Musigny).